It’s nice to see that people are interested in making things for their dogs. There’s plenty of free info available on the Internet about how to make homemade dog food, dog treats, and dog toys. 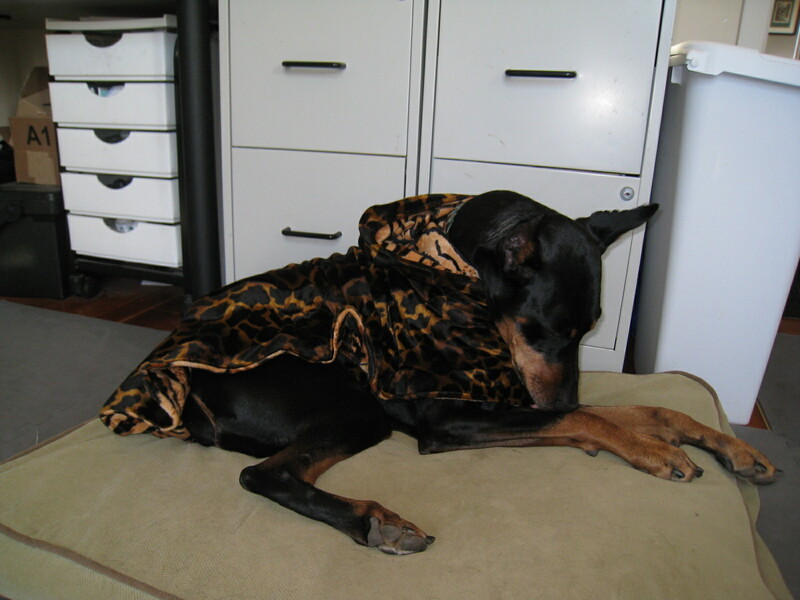 And if you are into dressing your dog or at least keeping him warm in the winter many sites contain free patterns for dog clothes and coats. Free info on other types of DIY dog-related projects is a little more difficult to find. One DIY dog website, Make & Build Dog Stuff, covers everything from dog accessories to dog wheelchairs with lots of great ideas in between. Readers submit many of the projects. If you have a project you are proud of I suggest you submit it to them. One can never have too many ideas to choose from! Dog beds seem to make up the bulk of home design related DIY dog projects. 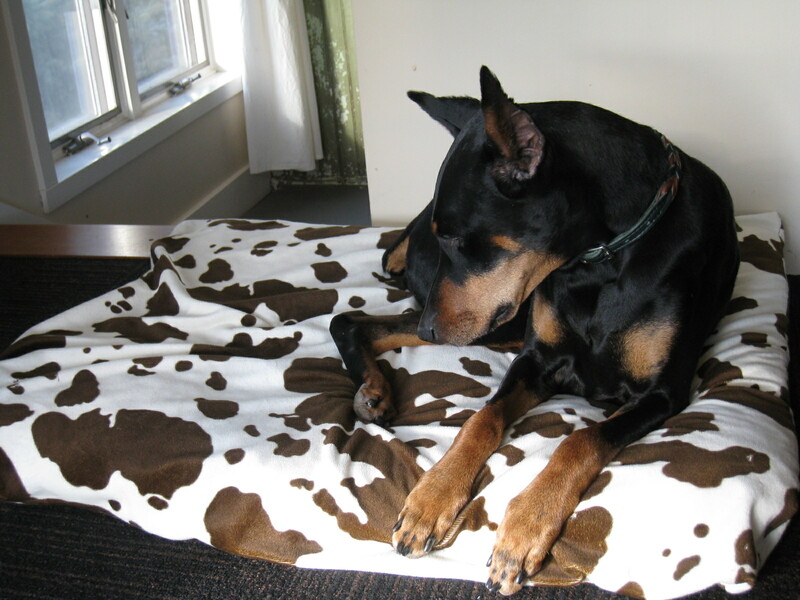 Living with an active product testing Doberman has forced me to make a few dog bed covers over the years! I found this clever dog bed that was made by repurposing an old suitcase. IKEA Hackers provides DIY projects made out of IKEA products. The products are modified or repurposed for a new or different use than originally intended. There is a whole section on Pets. I really enjoy the ingenuity and simplicity of many of these projects. The majority of Pet projects are for cats but there are a few specifically meant for dogs, like the dog futon made out of a table top. The “hackers” provide detailed info on how to transform the IKEA products. The site is a refreshing idea and it makes me smile every time I visit it. If you are interested in sharing more home design dog-related DIY projects with me please send them to me. Next week I will begin a regular feature about dog-friendly home ideas and projects by others. Also, if anyone has dog-friendly design questions they would like answered please don’t hesitate to ask. I’ll try my best to answer as many as I can. 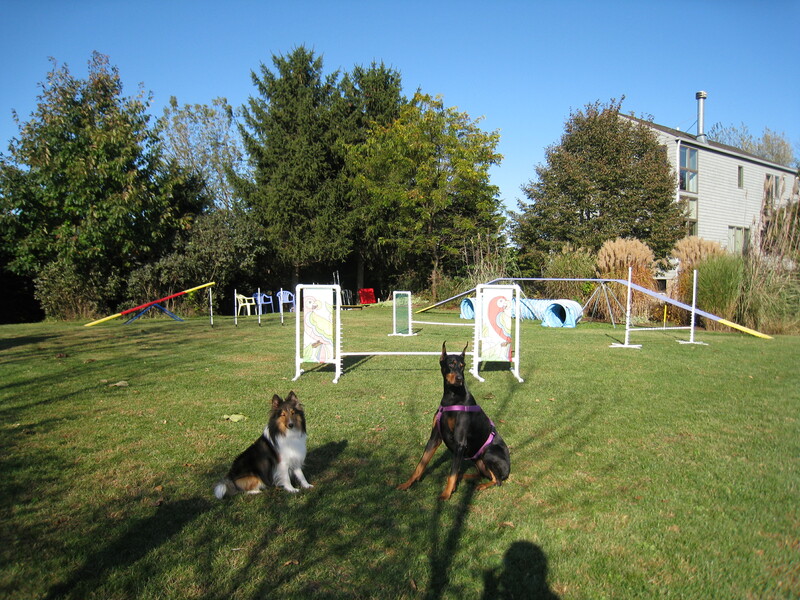 This entry was posted in Interior Design and tagged Do it yourself, Dog, Homemade, IKEA, Pet. Bookmark the permalink.